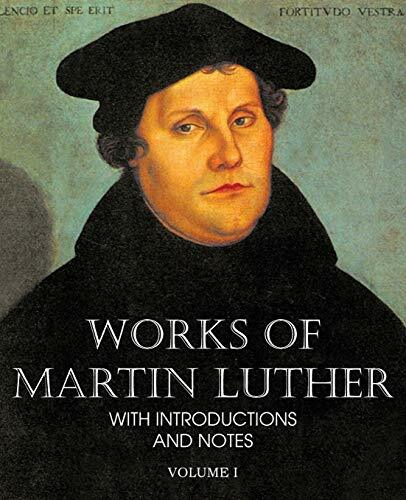 No historical study of current issues-politics or social science or theology-can far proceed without bringing the student face to face with the principles asserted by the Reformation of the Sixteenth Century and its great leader, Martin Luther. He has had many critics and many champions, but neither his critics nor his champions feel that the last word concerning him has been spoken, for scarcely a year passes that does not witness the publication of a new biography. The approaching jubilee of the Reformation in 1917 will call renewed attention to the author of these treatises. These volumes have been prepared with especial reference to the discussions which, we have every reason to believe, will then occur.